Arts & Equity — MODTAGE design. 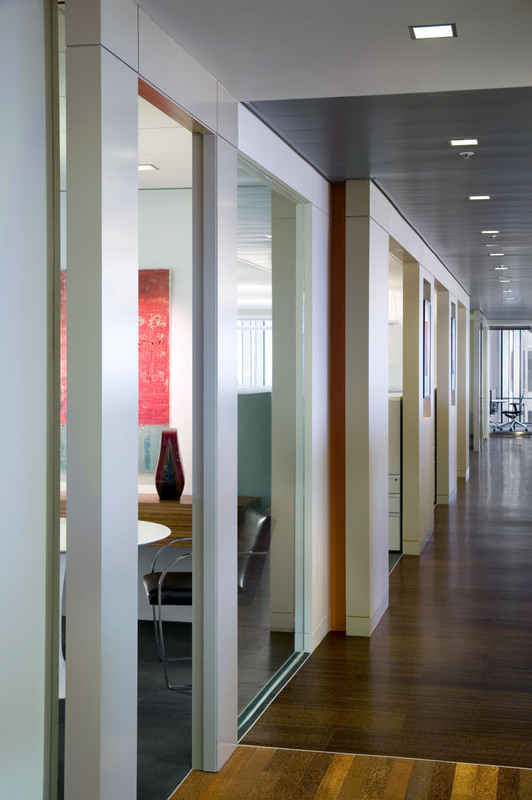 Headquartered in San Francisco, this private equity firm desired a space that reflected their rapid success & the superior reputation of their team. 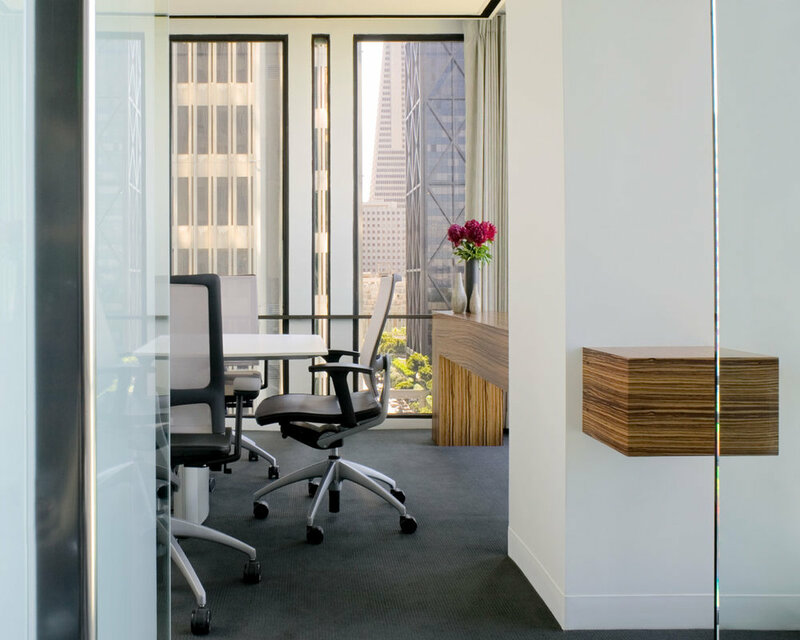 The award-winning project entailed a detailed full interior build-out of 8,000 sqft of space in a coveted suite at Four Embarcadero Center. The design focused on the desire to bring comfort and warmth to the office space, providing a welcoming environment for both the equity team and clients alike. Visitors enter into a warm & inviting lobby overlooking the boardroom with views of the San Francisco Bay beyond. A glowing tile niche to the right flows seamlessly from the lobby thru the glass partition and into the boardroom, providing a surface for food concierge services during meetings. Custom millwork intersects with building columns as if to flow through them. Incorporating various art pieces, including vintage artwork from a local Music Hall, provided a color pop and additional insight into the partners love of the arts and music. The entire suite was carefully planned to allow natural light, improving the heath, well-being and productivity of each of the team members. Mixed use of materials including woods, ceramic tile, glass, metal and acoustics transition seamlessly and define the spaces further while providing a modern backdrop and establishing the firm's stature as a newcomer poised to have a enduring impact in the industry.